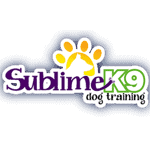 Dog training appointments are available 7 days a week and we offer day and night hours for your convenience. Office hours are 8:30-5:00 EST Monday – Friday. Please call during this time to schedule a free consultation, to schedule or change an appointment, or to talk to a trainer.